My name is Amy Joanne Mogish, an Artist, a Blogger, a Designer and a Teacher of the Arts. I am your typical blue jeans jacket kinda girl….I love all things vintage, playing house and home stylin’, industrial with soft edges, ‘comfy blue jean’ cottage and will paint anything that doesn’t move! All Things Creative…..with homespun charm, a little vintage and a touch of whimsy….is my style. Had you told me 30 years ago when I stepped out of high-school~I would be an Artist & Designer and had been published in 2 leading Painting Magazines, be a published book Artist and have 69,000 hits on my Artful Blog, I would have told you, you’re crazy! I can’t say that I have always been interested in Art like many creative Artists have, but I have always enjoyed watching my Grandfather, a Wallpaper/Painter by trade, stir his paint and prepare for work. Fast forward as a newlywed, I found myself curious while attending crafts shows at all the painted handmade items for the home. I decided then that I had to know how to achieve this myself and my artful journey began. I found a 6 week course at a local college for “tole” painting (aka decorative painting) and loved every minute of it. I continued over the years taking weekly classes and traveled to seminars to learn from the “Big Brushes”. I frequented Steph’s Folk Art Studio in Lancaster PA whenever given the chance, I was like a child in a candy store. I still continue today taking seminars and attending Art conventions. I am a member of the NSTDP and Penn’s Woods Painters Chapter. I began designing for the Decorative Arts 8 years ago. My designs can be found in PaintWorks Magazine and The Decorative Painter, along with a few published books. You can find me in my studio every moment I can ~ creating, designing, painting, penciling…dreaming. I love to share my love for Art as well. Hosting Penciling and Painting Workshops at the Tamaqua Community Art Center and on the road too (aka Pencilin’ Peddler)! Join me on the journey at a Workshop….have you tried my coined Classic Chalk Art? Fun stuff. I live a very blessed life with my husband Jerry of 29 years and have a supportive family with my Mom, 2 sisters, a brother and my niece Abby….and 2 besties from first grade! I hope your Artful Journey leads you to your dreams as my journey has….. Your patterns are amazing! So gifted! I’ll be ordering soon. 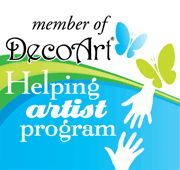 I have recently been appointed seminar chair for the PA Mountain Laurel Decorative Painters in Hughesville, PA. I would love to get information from you in regards to travel teaching. What your schedule might be 2016 – 2017 and what projects you might offer. I have had some of my chapter members recommend you. We are a fairly small chapter with members from beginners to advanced (and accomplished!). Hi, I was wondering what is your requirements for teaching a pattern of your’s. I would love for my patterns to be used for teaching! I ask only that the patterns be purchased thru me for the # of student in class, this can be arranged via email at classicamyjoanne@gmail.com. I offer 25% off each pattern and free shipping to one location. If the pattern has been published in a magazine, you may use the magazine as your source for information and there is no additional requirements on my end! I especially would love if everyone would share their work with me via email or FB message! 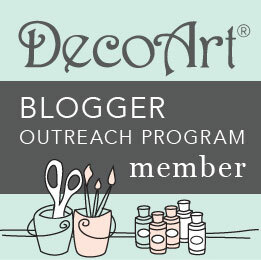 Thank You for helping spread the word about Decorative Art !! Painting Friends…..
Hi Beth….I will certainly send you an email with all the details! I am glad the piece was chosen, I had a chance to view it, you are an amazing painter! Please take photos of the class, would love to see ! Thank you kindly! Hello Amy- Love your website. I would like to introduce myself. My name is Esther Carrion I am the new Seminar Chair for Southern California Decorative Painters Chapter in Whittier, CA. We are a painter with SDP. By any change do you travel teach? If yes, would you be interested in coming to Southern California to do a three seminar? Our members our intermediate to advance painters (we do have very good beginners). August or September are good months. What are terms? Your preferences any specifics that are important to you. Thank you for your time Amy, hope to hear from you. Hi Esther..Thank you for your comment…I look forward to working with you on a Seminar at your Chapter! I love your drawings you are very talented. Hope some time I can take a class with you. Never did pencils but you have sparked my interest. Would love to have you join us for a class! Penciling is a lot like acrylics, but with no water…hee-hee!